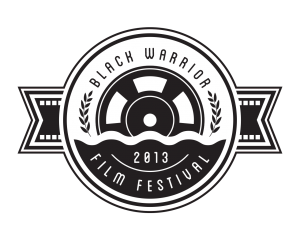 Submit Films to Black Warrior Film Fest! On Saturday, April 13th, The Department of Telecommunication and Film, Student Producers Association, Crimson Cinema Productions and Creative Campus will present The Black Warrior Film Festival 2013 in 216 Reese Phifer Hall. The Black Warrior Film Festival is a showcase of student films produced at the University of Alabama, giving student filmmakers a chance to have their work viewed by UA and Tuscaloosa communities. The festival will feature screenings, filmmaker Q&As, guest speakers, panels, and a camera workshops. Films must be produced and/or directed by a UA student. Films must have been made in the last 5 years. Submissions will be reviewed and ruled by a committee of programmers that includes professors and students. Submissions are open to short films (narrative, documentary, and experimental), music videos, EPKs, commercials, TV Pilots, web series, and any other productions made by UA students. Films must be submitted using the link below by February 22, 2013. Please email blackwarriorfilmfestival@gmail.com with any questions or comments.